It is green as grass, and costs hundreds of kroners a kilo. 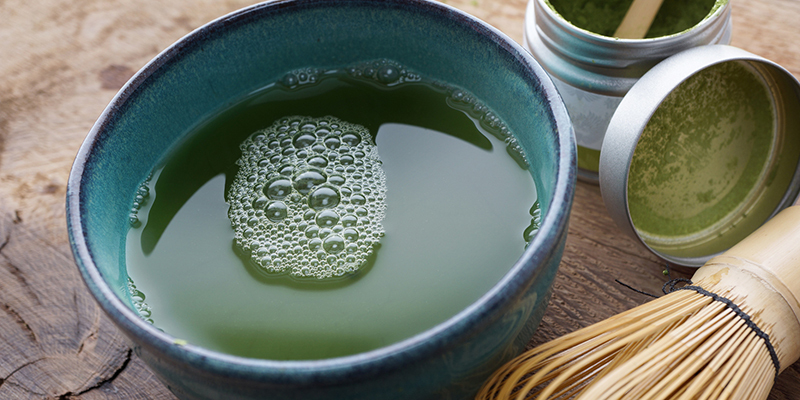 2015 is the matcha year. The matcha tastes like vegetable and astringent, but also sweetness at the base, and taste nuances almost as rich as those of wine or chocolate. It tastes definitely better than wheat grass juice, but is equally healthy. Green tea has for a long time been highly rated on the health food fanatics list of miraculous ingredients. It contains, especially, a lot of polyphenols. One of these, EGCG, is considered to have particularly good effect, according to nifab.no, the governmental Norwegian web portal for alternative treatment. Because the entire leaf is used in matcha, the content of the healthy substances is much higher in a cup of matcha than in regular green tea. 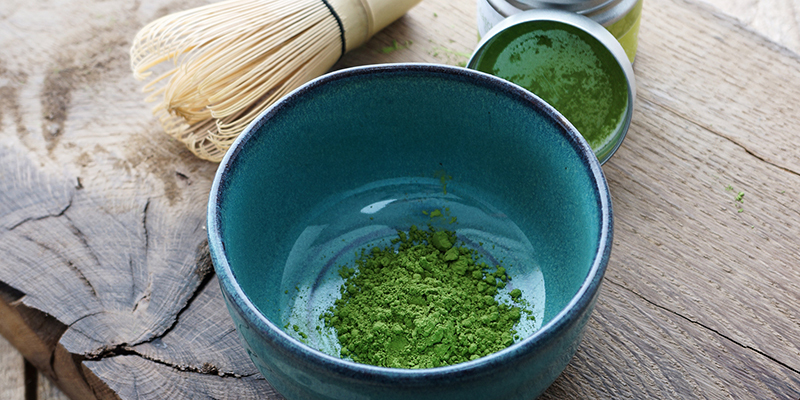 Matcha-activists believes that the green powder may be cancer preventive, anti aging, cholesterol and detoxifying in addition to being stress-reducing and energy increasing. The polyphenols in green tea may alleviate or prevent ailments such as inflammation, joint wear, genital warts and cervical abnormalities as a result of this although it is not yet documented how the polyphenols are effective against this, writes nifab.no. Matcha matches. This has both food magazine, food bloggers and small cafe owners caught up, and matcha pops into instagram feeds, recipes and over the bar in new places. Traditionally, the matcha is served in small ceramic cups. It should be drunk with devotion, yet fast; otherwise the tea powder drops to the bottom of the cup and remains there. But one of the matchas many virtues is that it so easily compatible with dairy products and sweets. Matchalatte is just the tip of the iceberg. The possibilities are almost endless: Matcha ice cream, matcha confectionery, matcha crackers and matcha macaroons, all in a wonderful light bright green color. The matcha coffee shops also pops up from Hanoi to Portland, from Hong Kong to Manhattan. USAs first matchabar opened in Brooklyn in 2013; now, also the Greenwich Village matcha cafe Chailat, run by a young couple who jumped off the financial industry to invest in green tea instead. But it is not cheap. To bring out the green color, the tea plants must be protected from sunlight, and to so that the flavor will be so sweet and so little bitter as possible, the best matcha is ground to powder by hand at a rate of 30 grams per hour. The best matchaen can cost well over 1,000 kroners a kilo, while lower quality for cooking is a bit cheaper.